Welcome to Main Stage Dance! Main Stage Dance is a dance studio located in New Braunfels, Texas that offers a wide variety of dance education serving ages 3 and up. Main Stage Dance also serves the greater communities of Schertz, Cibilo, and Garden Ridge. Main Stage Dance offers dance instruction in ballet, tap, hip hop, jazz, and pre-dance classes that build on the foundations of technique and style. The philosophy of the Main Stage Dance Studio is to equip our students with the best resources and assistance to help them succeed in the world of dance. We provide quality training and a fun learning environment for our students to grow in. Our staff is equipped with collegiate training in Dance to give the best quality instruction. Main Stage Dance also produces a Spring Recital showcasing the growing talents of our students in an enjoyable performance. Please look around our website and feel free to contact us with any questions about our program. Main Stage Dance operates through J&R Gymnastics in New Braunfels, TX.  Extra opportunities in private lessons and more! Each class is instructed in a professional manner to ensure growth in dance technique and stage confidence. Main Stage Dance keeps reasonable class sizes to provide better individual care so that each student is given an opportunity to succeed within our program. Main Stage Dance works at a respectful pace so that each dancer is able to master their own skills. Each class begins with a warm up and stretching time to reduce the risk of injury while teaching the students how to stretch for preventative measures at home. Words of encouragement to motivate our students to persist in their own abilities and to feel a sense of accomplishment after putting in hard work are also given throughout each class. Every dance class also highlights the importance of being respectful to other students and the instructor. Main Stage also teaches on the importance of being good audience members, building quality friendships, and using positive words to build up each class. We find that when each student within a class is working respectfully with one another, the class improves individually and corporately and this shows as the students perform in their Spring Recital.